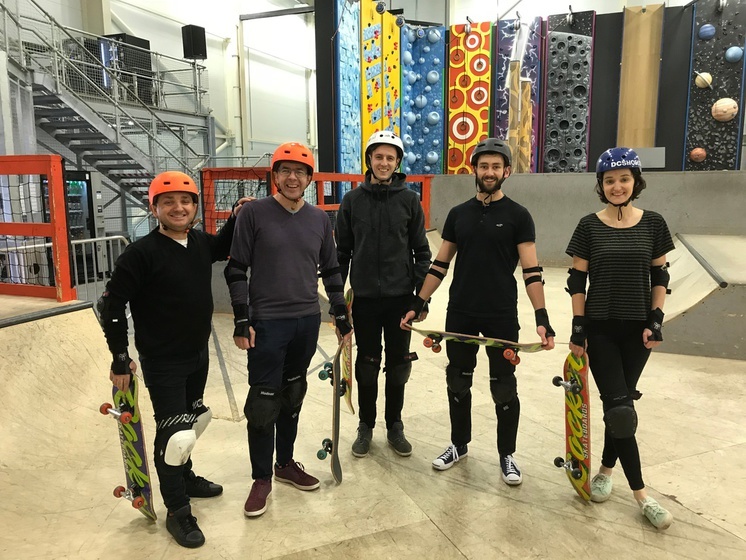 Atelier Ten recently hosted a skate experience day for the project team associated with the design of the world’s first multi-level skate park. The skate park is to be built in Folkstone in Kent for The Shepway Sports Trust. Attending was Dan Hulme and Kay Whitehead from Strand House, Aidan Webb and Calum Winton from Spider PM, Annabel Sawyer from Guy Hollaway Architects and Alan Munson, Ilyas Oren and Jed Jordan from Atelier Ten.